Last night, no joke, she would ONLY stop screaming bloody murder when her dad held her at this precise angle so she could look rapt at the electrical outlet. This, friends, is the visage of a beaten man. Holy CRAP, does that bring back memories. I remember (dimly) when my son was an infant. He used to scream bloody murder, and the only thing that stopped the screaming was to be held by yours truly. The catch was that it had to be while I was standing up. Same position sitting? NOPE, right back to screaming. It’s as if he knew when I was comfortable and wasn’t having any of it. First step in parental manipulation! Oh she has COMPLETELY cowed us into submission. She is a teeny terrorist and we have given in to her every demand. I know it must sound crazy to you now, but reading this made me feel really nostalgic. Oh no – I sympathize! 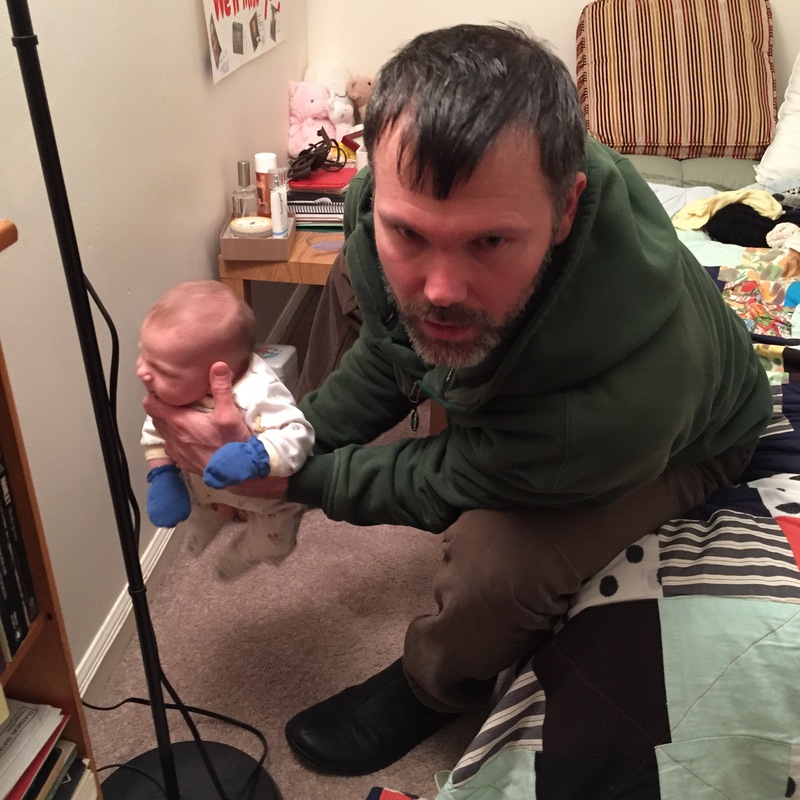 My daughter had colic for the first two months of her life, and the only thing that would make her stop screaming was if I carried her while doing squats, going up and down stairs, or speedwalking around the house. She was like a tiny, angry personal trainer.